Problems escalate for the teams as top players fail to deliver. The 11th edition of the Indian Premier League (IPL) has successfully completed its third week. Unlike the first two weeks, there was much more drama surrounding the third week. Right from controversial umpiring calls to defending the lowest scores of the season, the third week has seen it all. But, one thing about the third week that will be etched in the minds of fans for a long time is Gautam Gambhir deciding to step down from the role of captain. The Chennai Super Kings end at the top of the table this week. They are followed by the Sunrisers Hyderabad, Kings XI Punjab and Kolkata Knight Riders. This week has seen a trend where the teams at the top are getting stronger and teams at the bottom are further sinking down the ship. There were some great batting and bowling skills on display during the third week. 33 sixes were hit in the match between RCB and CSK, which is a record till date. Also, Mumbai Indians were bowled out for just 87 against SRH which is the lowest ever. Amidst so many wonderful performances, some players succumbed to the pressure. They failed to reach the expectations and ended up as five disappointments of the week. This is the second time Virat Kohli has found a spot on this embarrassing list in 3 weeks. This week was just a nightmare for Virat and he will wish to forget it as quickly as possible. He hasn’t created the fireworks with the bat and his captaincy skill has been under the question. Virat has this capability of injecting the team with positive energy when the team is doing well. But when things go the other way, he is often perplexed. He hasn’t really shown this skill of bouncing back from the odds in the IPL thus far. There were a lot of questions about his team selection, bowling changes and field settings. With the bat, he has been taking too much pressure and that shows off in the results. 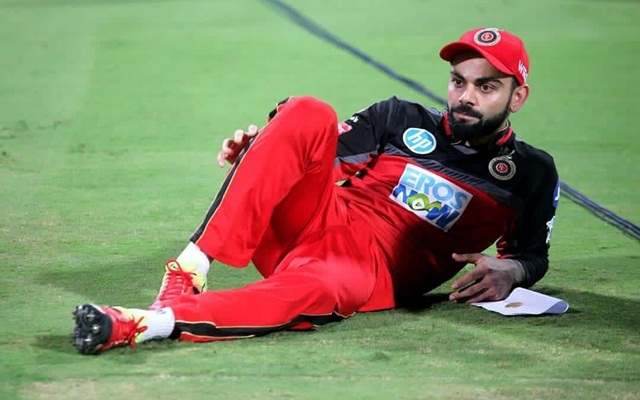 He and AB de Villiers are the mainstays of RCB‘s batting. However, this added pressure hasn’t got the best out of him this week. In the two games this week, he has scores of 30 and 18 at an average of 24 and strike rate of 117 which is far below to his standards. He will want to lead his team to a few victories from here on though.